The morning after my otter encounter Belinda was extra keen not too miss out again. So we set off early and were rewarded again. 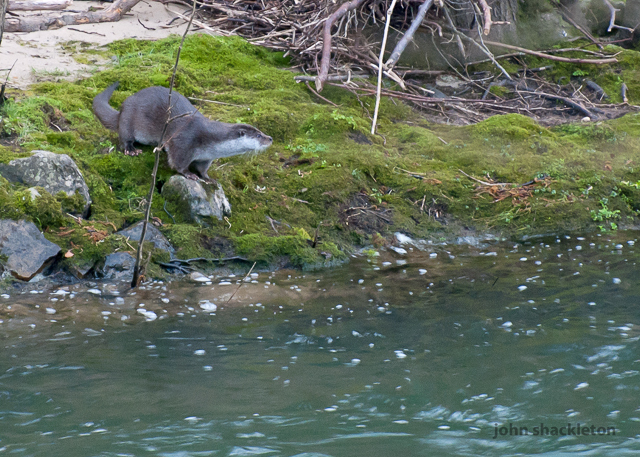 We spotted a lone otter swimming steadily on the far side of the river. It seemed unperturbed as the peace and quiet of the river was interrupted from the noise of the local industrial estate. It was also unworried by our pointing of cameras and binoculars in its direction. 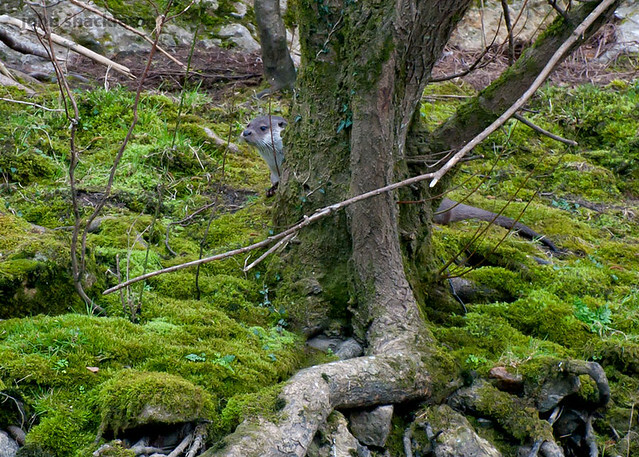 There often many people making their way to work along this route and it often amazes me how the otter and people show no interest in each other. 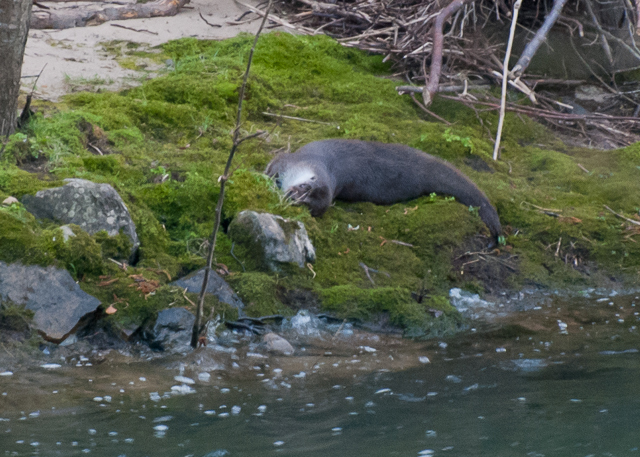 The otter climbed the green mossy bank, sniffed various trees and bushes and then set about rolling in the grass. It is quite noticeable the change in appearance of an otter’s fur when it is dry which I think is illustrated in the 3 pictures below, almost a velvet texture.